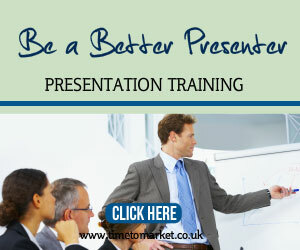 It’s not the first time that a presenter has started up their PowerPoint presentation and been immediately compromised by their subject. Remember that we reported a similar story last year with a stripped-bare Baltimore presentation. However, that’s no consolation to Father Martin McVeigh the Tyrone priest whose priestly PowerPoint presentation never really got beyond the first slide. The priest had planned to give a PowerPoint presentation to his parishioners, parents of First Communicants. 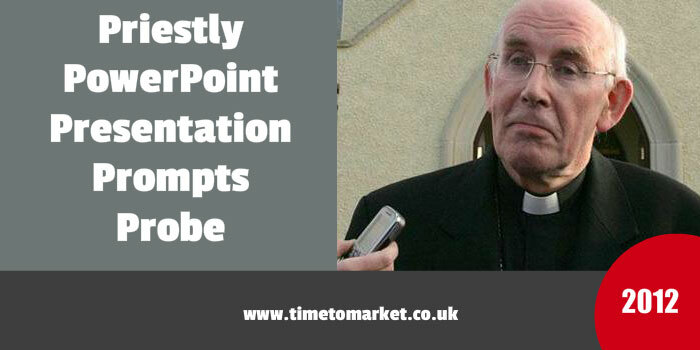 With his notebook computer and projector set up, Father McVeigh inserted a memory stick into the computer’s USB port and got the priestly PowerPoint presentation started. But, the devil was in the detail. Unfortunately for the priest a set of explicit images flashed on to the screen. Several of them. Because someone in his audience was clearly paying attention to the images flashed up by the Priest. Because reports said that 16 images appeared. Now, that’s an attentive audience. They paid attention to the PowerPoint slides and counted them as well. Clearly this wasn’t the subject of Father McVeigh’s presentation. Cassock flowing, he fled in embarrassment. We understand that he only re-appeared some 20 minutes later to wrap up the presentation. And that was possible, of course because a Communion co-ordinator and other teachers gave the presentation in its entirety. But, probably, without those explicit images. And will there be consequences? We’d suggest more focus on Father McVeigh’s presentation design choices. But, apparently the Primate of Ireland, Cardinal Brady, is to probe. He has launched an investigation into the incident. It’s probably no consolation to the embarrassed priest. But the police have signalled that no offence has been committed. So this is probably one of those deeply embarrassing incidents that the Church would want to avoid. But probe it must. So, probe it shall. 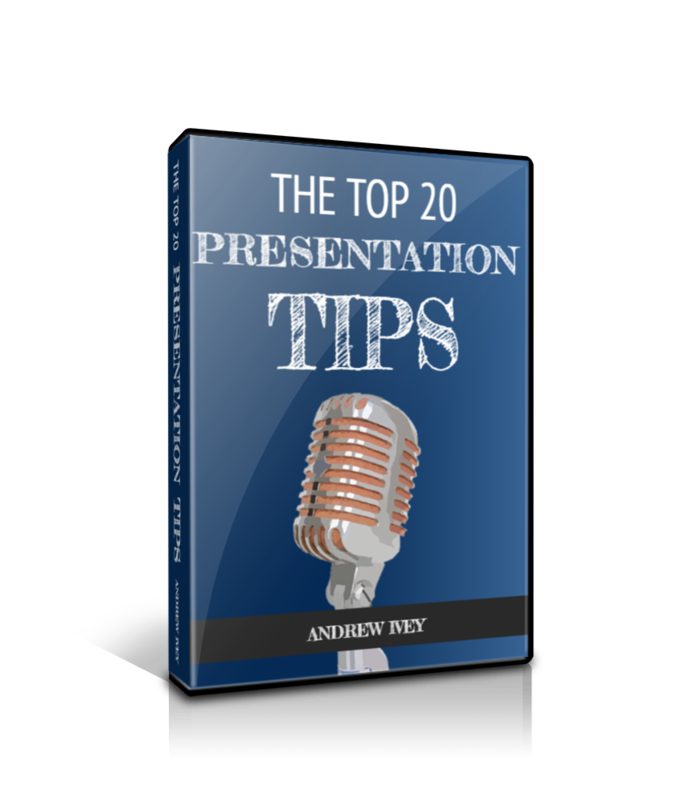 When you want your PowerPoint presentations to go without a hitch you can always aim to boost your presentation skills. 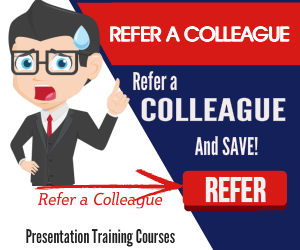 Just join one of our regular, scheduled training courses or opt for a one to one presentation coaching session. It’s your choice. 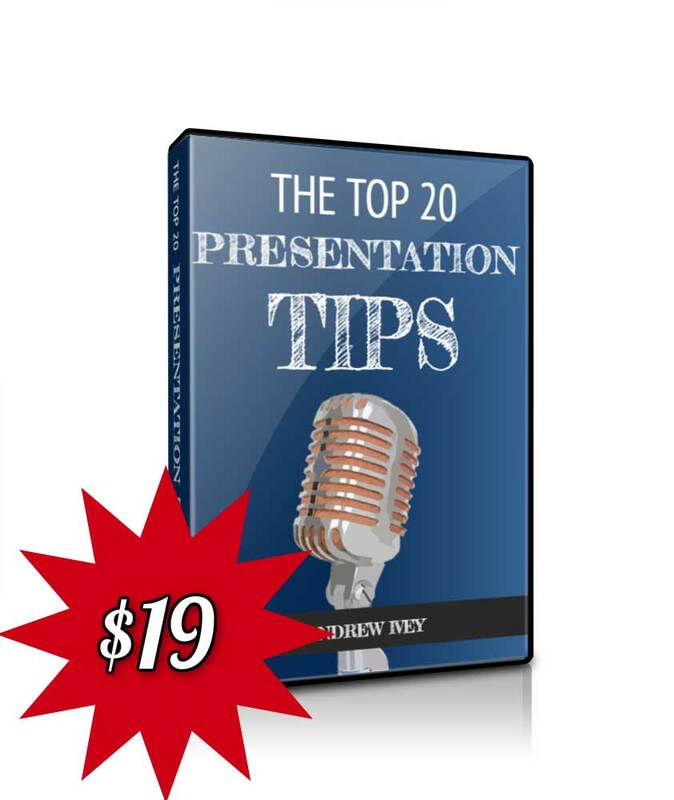 Please don’t hesitate to call when you want some help with your presenting skills.